M.E. Sumner, Gypsum and Acid Soils: The World Scene. R.L. Blevins and W.W. Frye, Conservation Tillage: An Ecological Approach to Soil Management. P.A. Peterson, Transposable Elements in Maize: Their Role in Creating Genetic Variability. J. Funderburk, L. Higley, and G.D. Buntin, Concepts and Directions in Arthropod Pest Management. G.J. Wagner, Accumulation of Cadmium in Crop Plants and Its Consequences to Human Health. Subject Index. Volume 51 is a compilation of cutting-edge reviews written by leading crop and soil scientists. 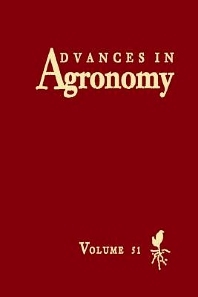 Several chapters emphasize ecology and the environment: conservation tillage with emphasis on ecological approaches to soil management, especially its effects on the environment, soil physical and chemical properties, and surface mulch, nutrient, and pest management; a complete and contemporary review on integrated pest management, ecological and environmental considerations, and future directions; a comprehensive review of cadmium accumulation in plants and its effects on human health. Other topics which are of interest to agronomists around the world include a comprehensive review on gypsum and acid soils; and transposable elements in maize and their role in creating plant genetic variability. Researchers and students in agronomy, crop and soil science, environmental science, molecular biology and genetics, biotechnology, entomology, botany, horticulture, and forestry.